It hit the design wall tonight! 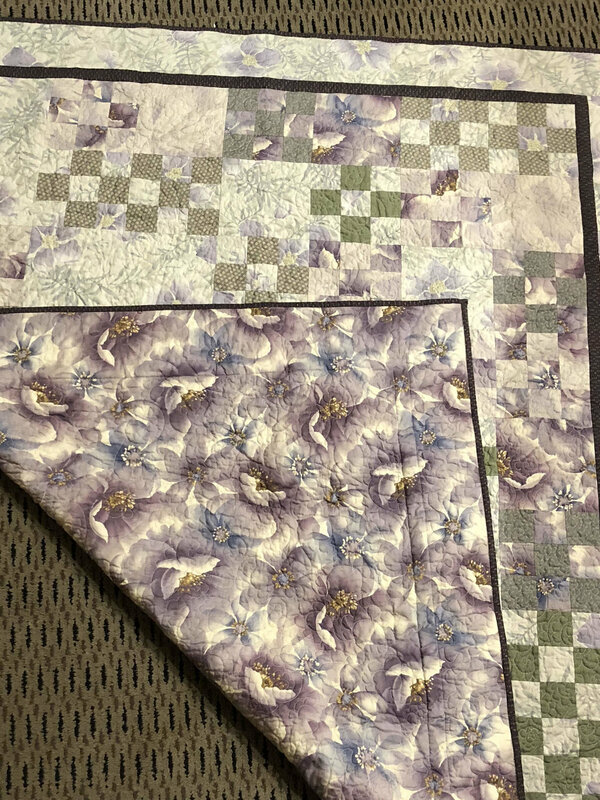 So, one problem with my quilting room set-up is that I can only get about 5 or 6 feet back from my design wall. That makes taking pictures a bit of an acrobatic venture: back up as far as I can against the opposite wall, wedge myself into the corner between my shelves holding fabric and my bookshelves on the adjoining wall, hold my camera over my head, aim the LCD screen down so I can see it if I tip my head back in just the right way, flip the flash up, and hope for the best. It's relatively straight, anyway. Usually when I have to get into that position for pictures the quilt looks like it's at sea, all sort of tipsy-topsy. 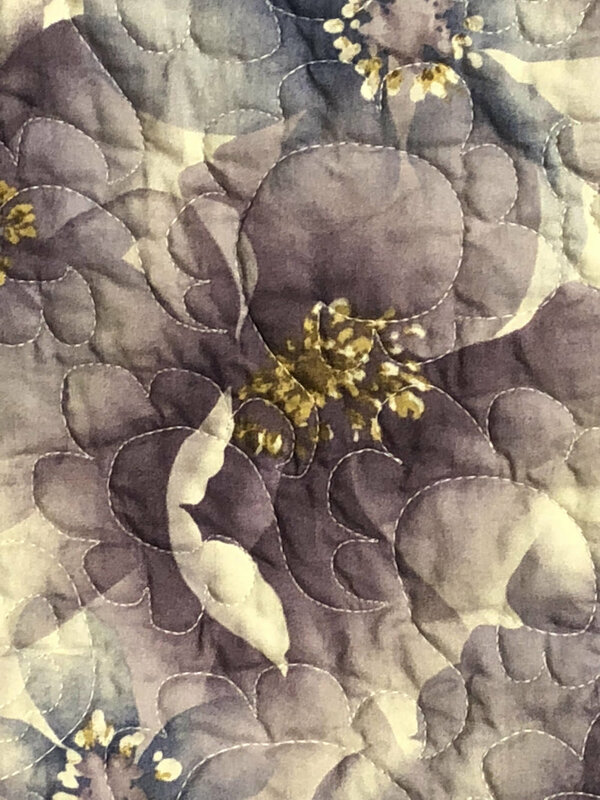 The picture is of the center of the quilt. I decided to go with the arrangement that creates four light diamonds surrounded by the darks. This de-emphasized a little bit the fact that a lot of my lights--well, aren't so light--and my darks are all over the place. 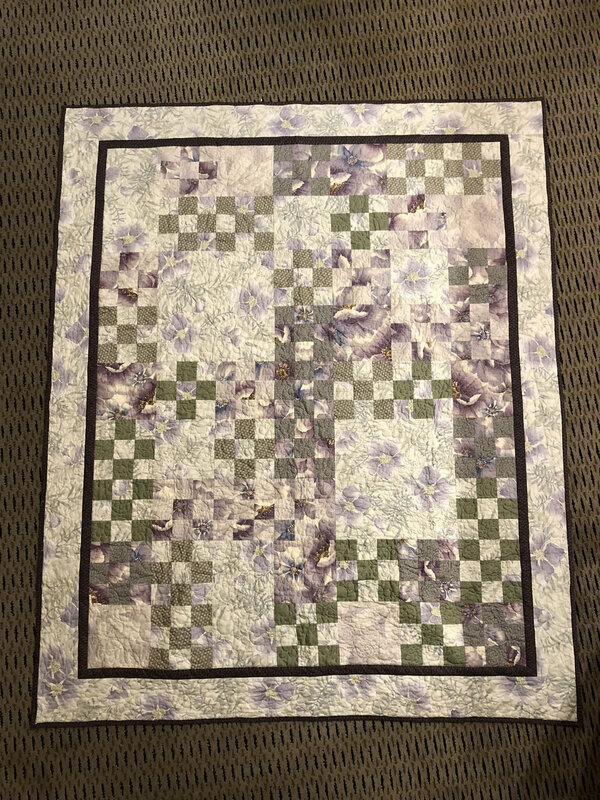 I know, I could've fixed that if I'd been willing to go into my main stash for blues and neutrals--but I decided to take what I could get in my fat quarter collection. And actually, with this arrangement, I think I'll be able to mostly get away with it. 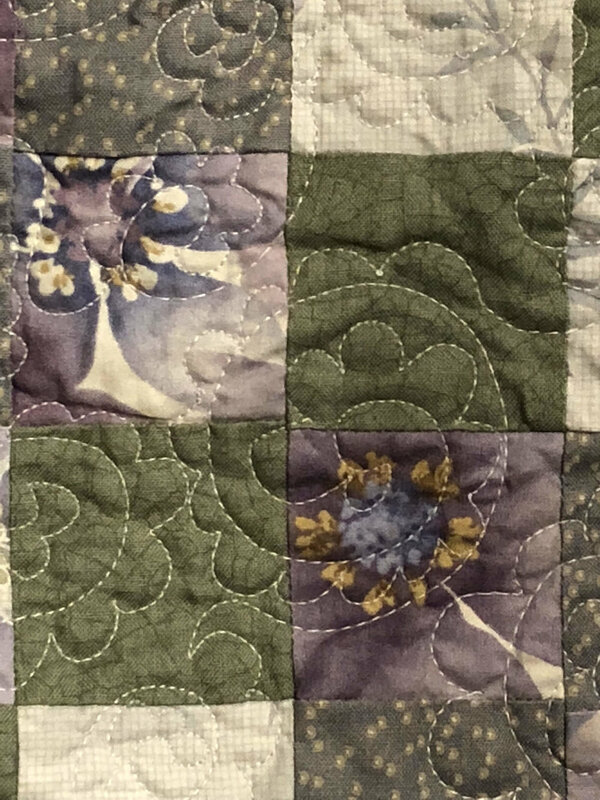 BTdubs, as my kids say, you'd not believe how long I stood there moving and flipping blocks to try to avoid having the same fabric butting up against itself or create a line down the center of the quilt. I'm walking away and looking at it in the fresh light of day tomorrow to make sure I didn't miss something. I'll give my findings on the rulers after I'm done with the top.